The first part of the saga ends with an open question – the fans had to wait two years for the solution of the puzzle, discussing endless ideas, possibilities, and theories. The grand finale has finally reached the cinemas and it is truly impressive. 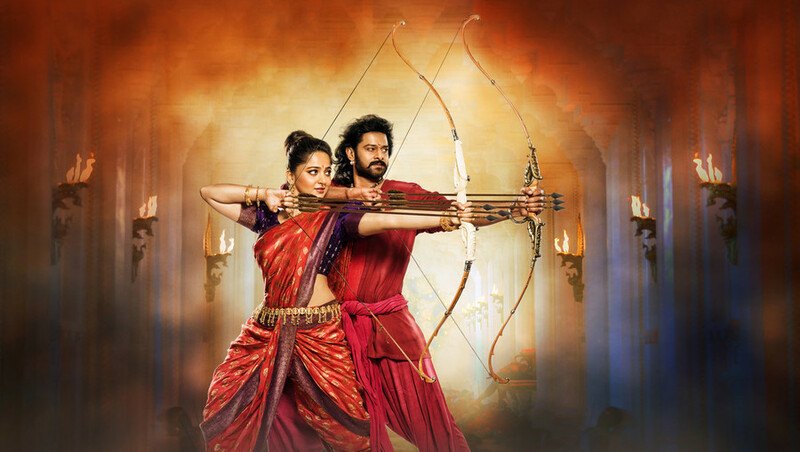 Baahubali discovers the epic story of his family and the turbulent past of the Mahishmati kingdom – the history of feuding heirs to the throne, sinister intrigues which shook the country, and the complicated love story of his parents. Expect plenty of spectacular sword and bow fighting, silk saris rustling in palace corridors, and even an aerial journey in a ship shaped like a swan. Special effects, used with panache and creativity, allow the audiences to distance themselves from reality, and the plot, just like in the first part, leads the viewer through the most intense emotional experiences. After the spectacular success of the first part of the saga, the viewers waiting for the finale went into a real craze – the lines to ticket offices were endless, and one of the Indian ticket vendors boasted about selling 12 tickets for the premiere per second. The film debuted on an unmatched number of 7,000 screens (there are about 10,000 screens in India), and some theaters held up to 10 screenings per day with a record-breaking attendance. In the first week, the film held the first place in the Indian box office, earning over $140 million and becoming the highest-grossing Indian film in history. It was also a hit in the US, with a third place in the box-office and almost $10 million in its first weekend (three times what the first part grossed). The saga became a social phenomenon and a worthy rival of Bollywood hits, gathering a cult following similar to the global "Star Wars" or "Lord of the Rings" craze. The story has also expanded into a number of best-selling books and comic books, an animated series set in Mahishmati, and a VR experience. Numerous clones of the main hero and his partner appear at fantasy conventions, religious festivals erect temporary temples based on the film palaces, and the fans tattoo the portraits of the actors on their own bodies.